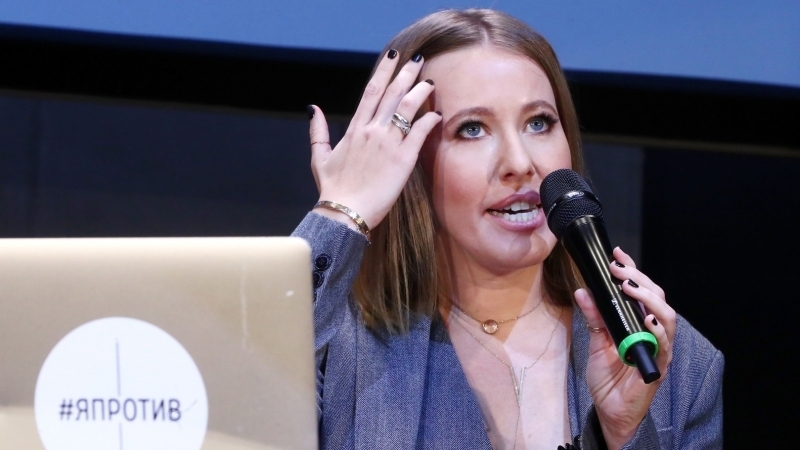 TV host Ksenia Sobchak, who announced her intention to run for president of Russia in the elections in 2018, said she supports the anti-Russian sanctions on the part of the United States. “I think that Russia is responsible for the terrible international relations that have developed. We violated the norms of international law, according to international law, the Crimea is Ukrainian," she noted. She noted that, at the same time, sanctions against the authorities and against ordinary citizens are different things. "That's right, I support these sanctions." But it’s totally different matter, for example, when students in Russia now can not get an American visa, it's not fair to them. Why the Russian people are punished for a person's policy that they do not support," she said. Earlier, Sobchak said that a new referendum was to be held in the occupied Crimea, and that Crimea belongs to Ukraine from the point of view of international law. The Head of the Mejlis of the Crimean Tatar people, Refat Chubarov, noted that the Ukrainian side should not stop the initiatives of Russian politicians who recognize the Crimea as a Ukrainian territory, but one should not get involved in these discussions until the peninsula is completely de-occupied.